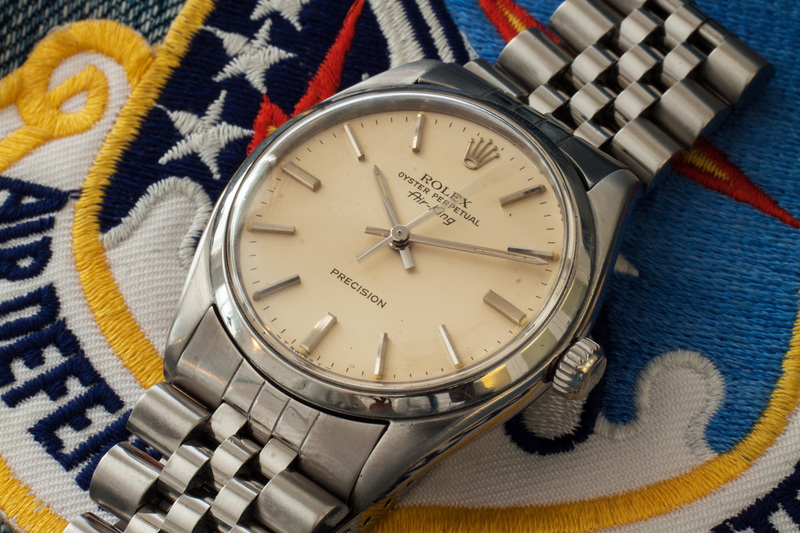 You are probably familiar with the Explorer II Cream dials, or maybe you’ve even seen a nice 1990’s Day-Date or Datejust with those beautiful creamy dials with Roman numerals… But have you ever seen a 1980’s cream dial Air-King!? We haven’t, until this beauty came along! This Air-King is special because of two things. 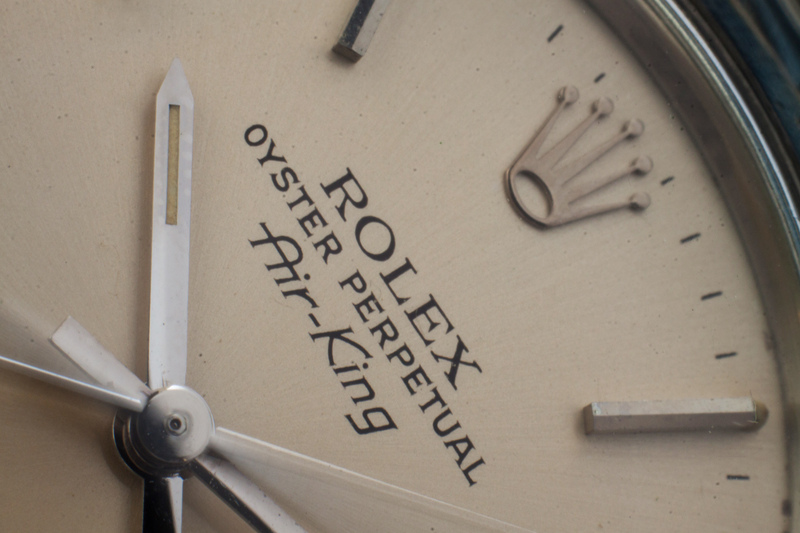 First of all, and the most obvious, is of course the clean ‘Cream’ dial with it’s coffee-cream charisma and that deep black Serif font. Second is the Jubilee bracelet, this bracelet has a width of 19mm and fits the Air-King perfect! As you probably know, most Air-King models came with a 19mm Oyster bracelet so this 19mm Jubilee is a breath of fresh air. This Air-King is fully serviced and comes with a one year warranty.